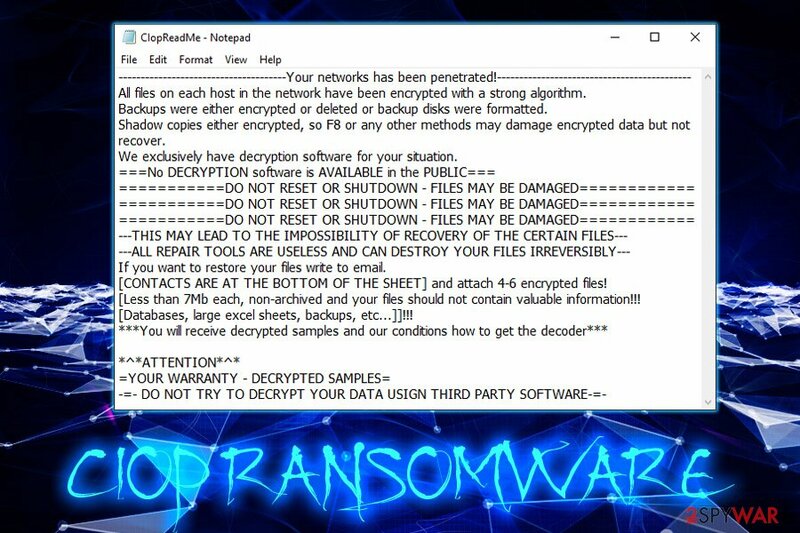 Ciop ransomware is a variant of the Clop, which initially stems from CryptoMix virus family. In most cases, users download an executable or document file via a phishing email sent by the attackers. Nevertheless, the developers can also use different distribution tactics, such as brute-forcing, fake updates, drive-by downloads, etc. Once inside, the cyber threat uses the AES encryption algorithm to lock data, appends .Ciop extension to each of the affected files and prevents victims from accessing them. 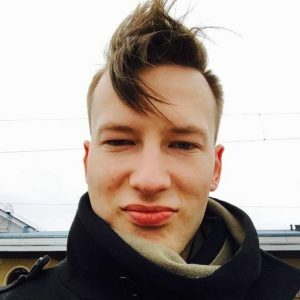 Ciop ransomware also drops a ransom note CIopReadMe.txt and explains that users need to contact hackers via unlock@eqaltech.su, unlock@royalmail.su or kensgilbomet@protonmail.com, and, because malware targets corporate networks rather than individuals, asks to include the name of the company and site address. 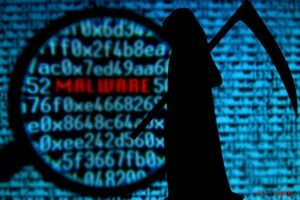 Malware also uses software packing to evade detection – the main executable is compressed, which allows it to use a valid digital signature, consequently helping .Ciop file virus to evade detection. Peculiarities Uses valid signature, checks for security software, spawns new services, communicates with Command & Control server, etc. Ciop ransomware is a sophisticated threat and, unfortunately, is not currently decryptable without backups. However, file recovery might be possible with the help of alternative methods, such as Windows Previous Versions feature or third-party software. Yet, the attempt to retrieve data should only be made after Ciop ransomware removal is performed, otherwise, the compromised system will repeatedly encrypt files. Deletes Shadow Volume Copies, etc. 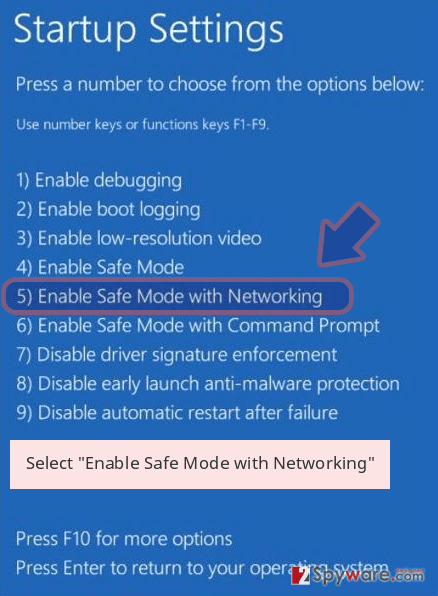 Shadow copies either encrypted, so F8 or any other methods may damage encrypted data but not recover. [Less than 7Mb each, non-archived and your files should not contain valuable information!!! [Databases, large excel sheets, backups, etc…]]!!! According to cybercriminals, they are targeting organizations, rather than regular users, as they are talking about network infection. Nevertheless, studies showed that Ciop does not incorporate means necessary to spread laterally unless hackers break in via the RDP. Be aware that paying cybercriminals does not guarantee you the decryptor. As practice shows, some malware authors cannot even decrypt files themselves, and others might simply ignore you and keep your money. Thus, experts advise to stay away from hackers and take care of Ciop ransomware infection without their help. Users often underestimate the fact that they might get infected with horrible viruses and often neglect precautionary measures that are needed to protect themselves from such consequences. However, once they fall victims of ransomware, only then they realize how devastating the infection can be. Therefore, it is always better to prevent the virus rather than dealing with ramifications. Use browsers that incorporate advanced security measures against malware, phishing, and other threats. As we already mentioned, Ciop virus is not decryptable, so only backups would save you from data loss. Nevertheless, you should not lose hope, as there are other methods you can rely on, like third-party tools that might be able to help you retrieve at least some files. Alternatively, security experts might create a decryption tool one day – many other viruses were decoded in such a way (No More Ransom project). But before that, you need to remove Ciop ransomware from your machine entirely. For that, we suggest you use security software that can recognize the threat (be aware that this malware uses sophisticated obfuscation techniques, so not all AV engines can detect it). In some cases, Ciop ransomware removal will only be possible via the Safe Mode, as the virus might be blocking anti-virus software from functioning. We explain how to do that below. You will also find instructions on how to attempt file recovery with the help of third-party software. Log in to your infected account and start the browser. Download Reimage or other legitimate anti-spyware program. Update it before a full system scan and remove malicious files that belong to your ransomware and complete Ciop removal. 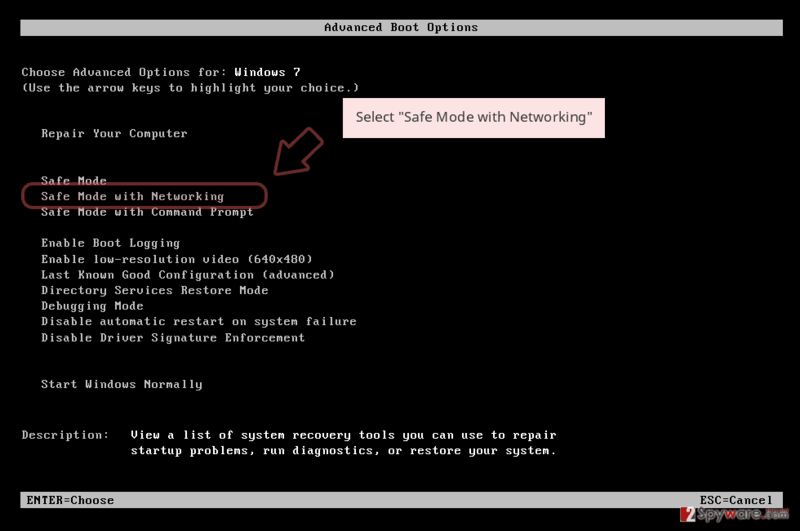 When a new window shows up, click Next and select your restore point that is prior the infiltration of Ciop. After doing that, click Next. 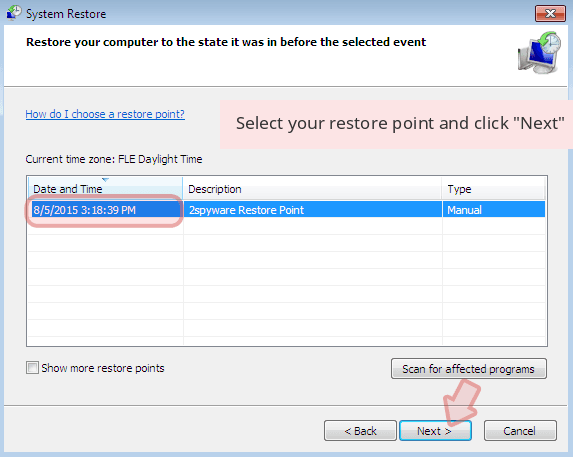 Once you restore your system to a previous date, download and scan your computer with Reimage and make sure that Ciop removal is performed successfully. 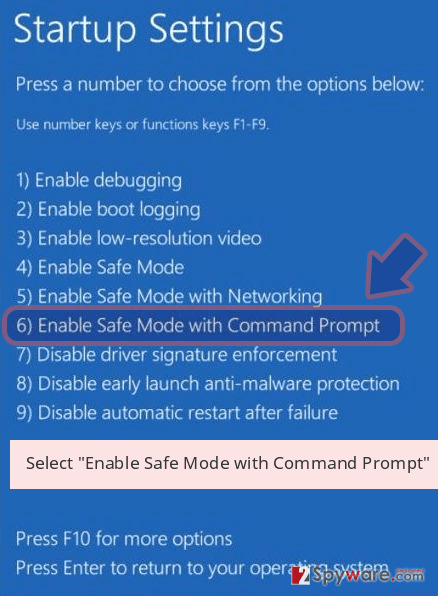 Guide which is presented above is supposed to help you remove Ciop from your computer. To recover your encrypted files, we recommend using a detailed guide prepared by 2-spyware.com security experts. 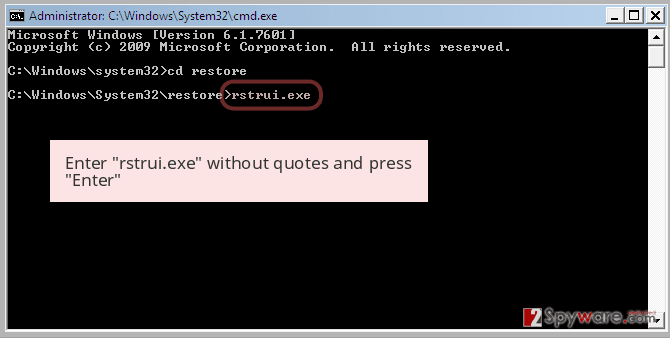 This tool might be able to recover at least some of the files that got encrypted by the cryptovirus. 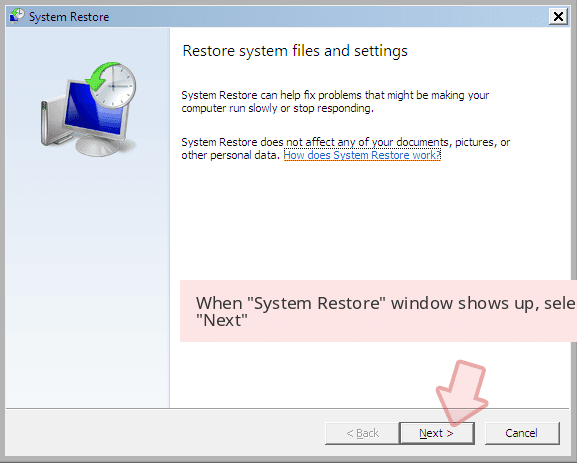 If you had System Restore enabled previously, you can try Windows Previous Versions feature to retrieve files one by one. Most ransomware viruses attempt to delete Shadow Volume copies to complicate the file recovery. If this process fails you have a chance with ShadowExplorer. ^ SCN0tification.exe. Virus Total. File and URL analyzer. ^ Dieviren. Dieviren. Cybersecurity research. ^ NEED HELP unlocking your digital life without paying your attackers*?. No More Ransom. International project battling ransomware. This entry was posted on 2019-03-22 at 05:01 and is filed under Ransomware, Viruses. You can quickly scan the QR code with your mobile device and have Ciop ransomware manual removal instructions right in your pocket. 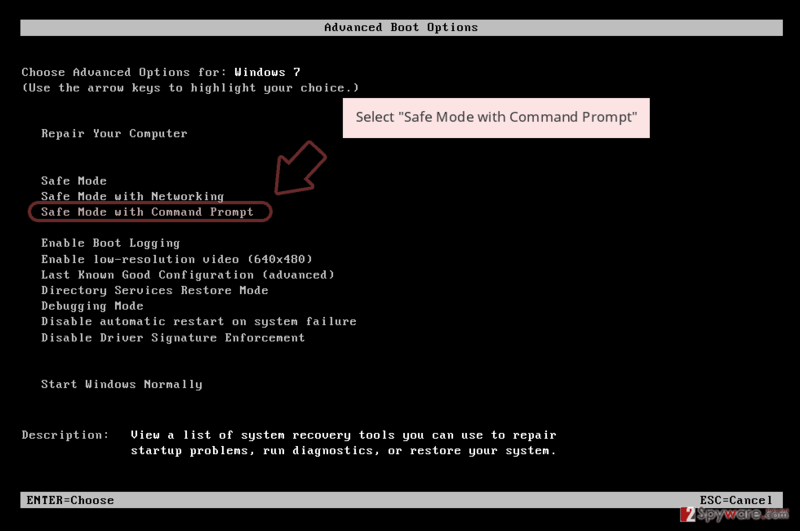 How did you remove Ciop virus?